Office space prices ranging from ₹3000 - ₹25000 per month. This incubation centre has a prime location in sector 2 of Noida, which is located between the centre of both New Delhi and Noida cities. Providing fully furnished co-working office solutions alongside executive suites and independent cabins. Nurture and groom your business ideas into executable projects and viable business opportunities. A centre that offers corporate training in all topics that you can think of this centre is a great facility to develop your business and employees. Located in contact with the nature and in a knowledge-based economy thoughtful workers equal good business. Nearby are a lot of restaurants, cafes and bars if you would like to go out with your clients. The Centre has a Biophilic design which is unique in its level of influence because it transcends simple furniture styles and office layouts, and has made a direct impact on contemporary architecture and commercial building practices. This is a commercial building offering high quality office space in a mixed-use development which includes gym, café, restaurants and a shop. This is a popular centre with large multinationals, and is ready for your business. This eco-friendly, well-connected business centre is equipped with cutting edge infrastructure and offers turnkey office space finished to high standards with the full range of amenities and business support services. Terms are flexible. With minimum and flexible rates available these offices near the Hindan River are fitted out with high-speed broadband, comfortable furniture and offer access to meeting rooms and boardrooms. A co-working space located in Gardens Galleria Mall. Enjoy high speed WiFi, many plug points, power back up, free office stationery and printing. There is also an outdoor area where you can enjoy some fresh air. Situated in Gardens Galleria Mall. Here, you will find fantastic shopping, dining and drinking options. Botanical Garden metro station is a 21 minute walk away, which serves Lines Blue and Magenta. 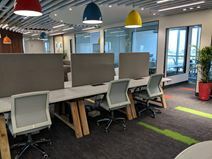 In the heart of a growing entrepreneurial hub in Noida this collaborative workspace is one of the largest in Delhi NCR. Surrounded by growing businesses in the local area and just a short walk from the Sahibabad Railway Station the centre also provides high-class conference rooms and meeting lounges as well as an on-site cafeteria. Close to the highway this vibrant co-working space is located within a premium commercial building and houses 280 workstations and four meeting rooms. A beautiful new facility within the Lotus Business Park. These fully equipped office spaces are ready-to-go in a prestigious Noida location with state-of-the-art facilities. It is well-connected with the rest of the city and provides 24-hour access for convenience. A one-minute walk from the Metro Station and just 15 minutes from South Delhi this business centre benefits from a strategic location and offers a variety of different work spaces that includes a meeting room, three workstations and a cabin. This space isn't only a cooperating space, it's an eco-framework made by individuals who set out to think past disengagement. Regardless of whether you are a solopreneur, a little group or a greater one, you will work close by similar individuals. 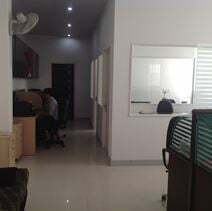 This centre offers its clientele facilities like AC with power backup, free Wi-Fi, functional workspace, free tea/coffee visitors lounge, locker storage, photocopier, a landline Number, as well as a meeting Room, projector, whiteboard, podium, speaker, video conferencing, flipboard meeting room and much more. This 50-workstation office space is available in Sector 3, offering fully-furnished commercial space suitable for all business sizes - whether you're a freelancer entrepreneur, or a small-to-medium enterprise. Offering competitive pricing and flexible terms, you can benefit from air conditioning, an on-site cafeteria, plus some fantastic decor to make this environment comfortable, professional and as flexible as possible. This space is based in the technological hub of Sector 63, and offers tenants the choice between coworking desks and private offices, on either daily or monthly usage. Beautifully designed interiors, complimentary beverages and high-speed WiFi are just some of the benefits of this amazing centre - and the proximity of local transport links means your daily commute is a breeze. Bus stops line the streets surrounding the centre, and Indira Gandhi International Airport (DEL) is accessible by car in under an hour. Situated off the Noida Expressway, within an A grade building complete with onsite amenities and facilities is where you will find this center. A space that features independent lockable cabins, in-house pantries and lounges, and services that include free wifi, uncapped tea and coffee, unlimited electricity back up, printing and stationery, meeting room access, and housekeeping services. Easy accessibility with parking on site, this is a prime location to make home for your business. It is a mixed use development retail, office and hotel developments. It also has luxury residential and Grade A commercial office developments in the vicinity by renowned developers. The centre is located opposite to the Noida city centre metro station and it's just a one minute walk to the next bus station. There are a lot of shopping opportunities and a cinema in this area as well as nice restaurants and bars. Located in Sector 2 of Noida, this space offers you an excellent location to build your business. Benefit from high-speed WiFi connectivity whilst you work - this coworking space is open-plan and amazing for collaboration and innovation between teams, companies and even industries. Noida Sector 15 underground station is just a five minute walk, offering access to plenty of areas of Noida and beyond. The next bus station is just a five minute walk away from the workspace which is located in the heart of Noida close to the Open Park. A ton of cool stuff and facilities are available in the building and it’s vicinity. Furthermore there are a lot of different restaurants placed in this area, as well as lots of banks and shopping opportunities. They will soon have daily lunches and full concierge services available on site. Office located in prime location in Noida. The building is with in minutes from the largest metro stations called Sector 142 NOIDA. This office space has really taken in to account the state of the art design and ensuring it caters to both small and large teams. This also includes start-ups and freelancers and there is also dedicated spaces for different types of business and tastes. The building has various floors which cater to large space so that the bifurcations and various calibrations are well suited for all. Easy to access via bus, train and car, and conveniently close to a range of banks, this serviced office centre provides flexible solutions to meet the needs of modern business. The building is home to a prestigious client list. Backed up by a professional and efficient support team, these fully-furnished offices are a modern tranquillity for the busy business travellers. There are ready to use facilities such as conference rooms, top-of-the-range IT infrastructure and exceptional communication systems (printing, fax & photocopying). 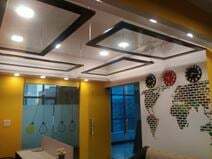 The office is conveniently located in the commercial district of Noida, which connects to Delhi city centre in 15 minutes’ via the new 6-lane expressway. Indira Gandhi International Airport is also nearby as is the 5-star Radisson Hotel and major shopping malls. Spread over 3,000 sq. ft. this commercial office space is located 1km from Noida Sector 15 Metro Station and surrounded by a multitude of offices. The newly constructed building is fully furnished while tenants have access to three meeting rooms, a conference hall and a cafeteria. 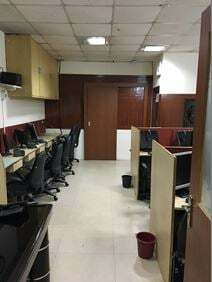 With a great range of amenities and well connected with Delhi via the Metro that is located just a couple of minutes" walk away, this centre has been established since November 2014, since which time it has served more than 50 clients by providing shared and co-working office space ideal for start-ups. 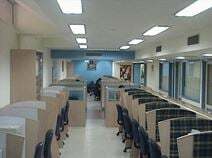 With more than 35 workstations available this fully furnished commercial office space is located in Sector 3 close to the Sector 16 metro station. Ideal for technology companies. A co-working space that doubles as a beer cafe in the evenings. Open Monday to Friday between the hours of 11:00am and 6:30pm with an inspiring theme of a Beer Library. Fitted with comfortable seats, free tea and coffee with paid on-site parking, metro connectivity, access to washrooms and free office stationary. As part of the Logix City Center Mall the building is shared with a variety of restaurants and eateries including international convenient food joints Domino's Pizza, Burger King, Subway and KFC as well as Mad Over Donuts, Jungle Jamboree, A Grill Company, and Biryani Blues. Nearby retailers can also be found nearby providing endless options for how you spend your break time. 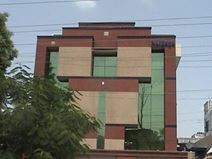 With access to on-site meeting rooms with fully furnished training rooms to complement the fully equipped flexible office space, this business centre is located within a Grade A building in Noida, one of the fastest growing hotspots for business in India, with excellent road links to both New Delhi and Gurgaon. A co-working space that has been designed for comfort, convenience and productivity. Comfy chairs are paired with large desks. Free printing and office stationery is included. Situated in Sector 62, Noida. Wave City Center Noida Metro Station is a 10 minute drive from the space and the closest bus stop is just 6 minutes' away. Indira Gandhi International Airport is a 40 minute car journey. Tzar Park is 7 minutes' away. This state-of-the-art office complex is fully loaded with modern amenities for you to enjoy and implore so you can run your business hassle free. Best suited for start-ups and IT, KPO, BPO companies and the like. Situated in Sector 62 of Noida, and offering smooth connectivity via 60m and 30m roads and well as public transportation. In the area you can access a wide variety of facilities including hospitals, restaurants, and banks, and with the metro route coming soon, there is great demand for office space in the area so get in quick! Private offices and co-working options are available. Meeting rooms are equipped with audio facilities and video conferencing. Tea and coffee are included. Event space is accessible. Located in Sector 56, in a prominent IT/ ITeS destination. In the surrounding area, there are numerous established MNCs such as Nokia, IBM, Barclays, Amazon and more. Additionally, there are several coffee shops, convenience stores and restaurants. With fully furnished and flexible office space ranging from 300 - 400 sq. ft. this business centre is located in Sector 63, Noida and surrounded by a number of major companies that include Ford Noida, Hyundai Noida and Esri India Technologies Limited. Covering four floors of this central Sector 63 building, this centre covers more than 22,000 square feet, offering plenty of space for you to move in and grow your business. 24-hour access allows you to work on your own terms, when you need to work - no more working from home if you've got an early morning call, and no more waiting around for the office to open at 9am. Several shops line the streets surrounding the area - creating plenty of choice for lunch. 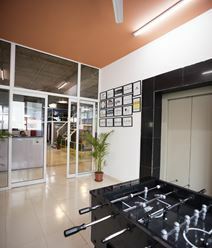 Located in Sector-63, Noida, this space spans 10,000 square feet and is spread over four floors. The functional spaces design is signed by the best curators and it offers all the functionality you need to take your business to the next level. Ergonomic furniture, equipped boardrooms, and complimentary beverages are just a few of the amazing benefits of this fantastic coworking space - plus local cafes are only a few minutes away for those lunch options. This newly constructed commercial building consists of four floors. Floor one and two are both currently available for rent. 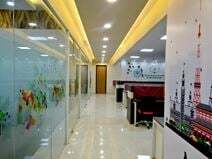 Very suitable for IT, MNC, back office and corporate companies; this space consists of a variety of offices spaces and comes fully furnished with amenities like power backup, CCTV, generous open parking, 24/7 security as well as maintenance and utility services. Located in Sector-63, Noida, this space is local to education centres, hospitals and clinics, banks and ATMs, and is easily accessible via public transport or car, with parking provided on site. A cozy, minimalist haven providing co-working space for inspiring creators and dreamers. With delicious smelling cupcakes and cappuccinos this space provides all the comforts you need and has an extremely active and supportive team on hand. Open from 10:30am until 6:00pm Monday to Friday, providing free fast wifi, complimentary printing and stationery, power backup with plug points for you technology needs, outdoor seating and free parking so with Vishwakama Road just around the corner, this space is ideal for all those driving to utilize this space. Located about 2km inside the main Sector 62 road this fully managed coworking space aims to provide all the amenities you would find in a corporate office organisation but puts more of a focus on collaborative working. This centre is located in a luxurious complex of residential, commercial and recreational spaces, all in one campus. Offering a range of office solutions, with a great choice of amenities close-by, this is an ideal address for your business. With good access to New Delhi and other NCR towns, this centre is strategically located in sector 126 on the Noida Expressway and is surrounded by a number of major corporates that include Oracle, Alstom Eaton and Hewitt. 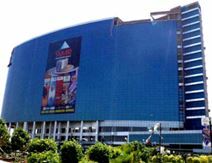 With direct access to all over Delhi via DND expressway and close to a Metro station, this iconic skyscraper is ideally located in Noida"s CBD. Fully equipped meeting rooms complement a mix of shared office space, private offices and executive suites.